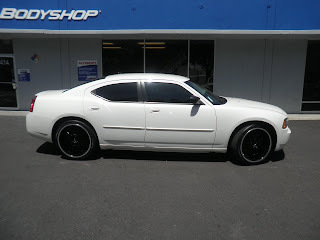 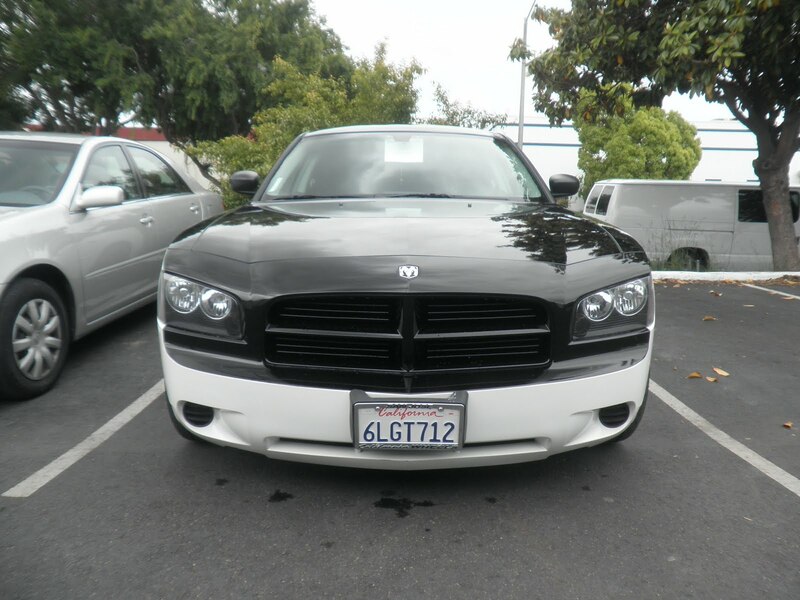 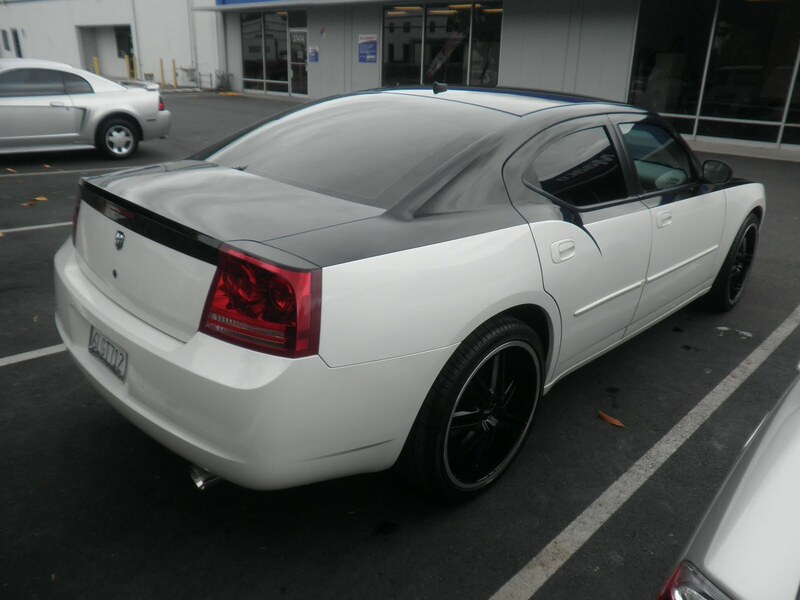 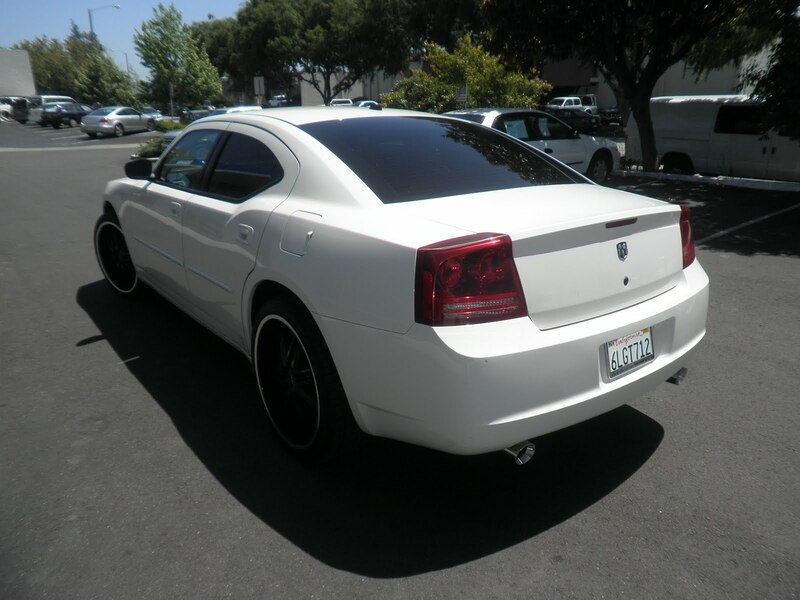 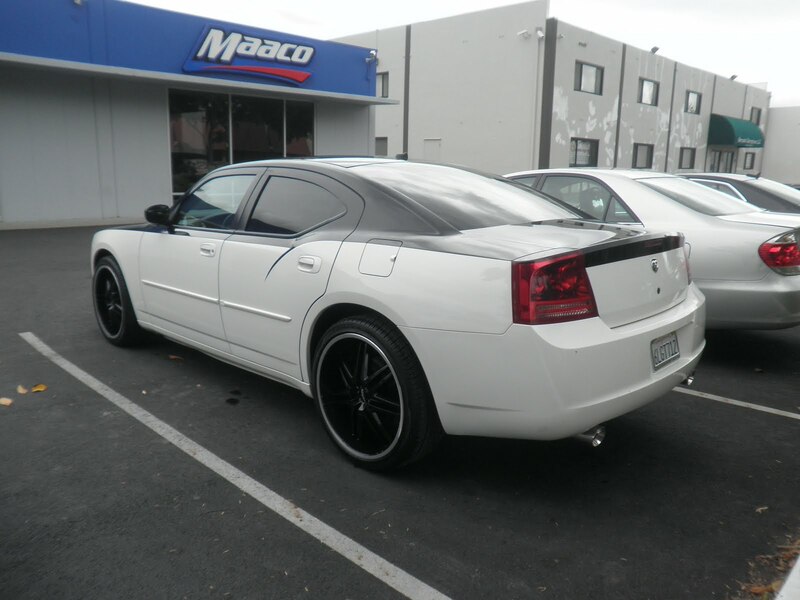 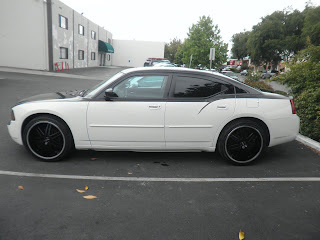 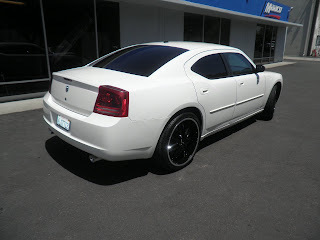 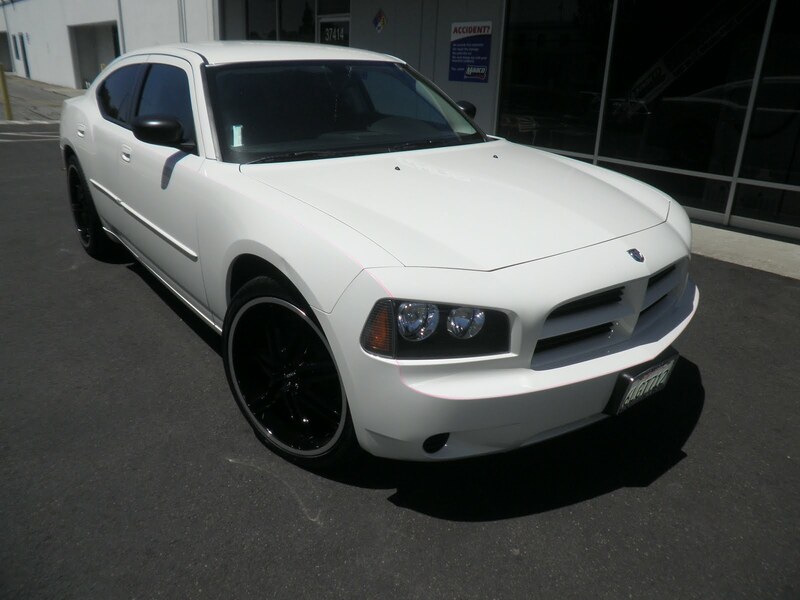 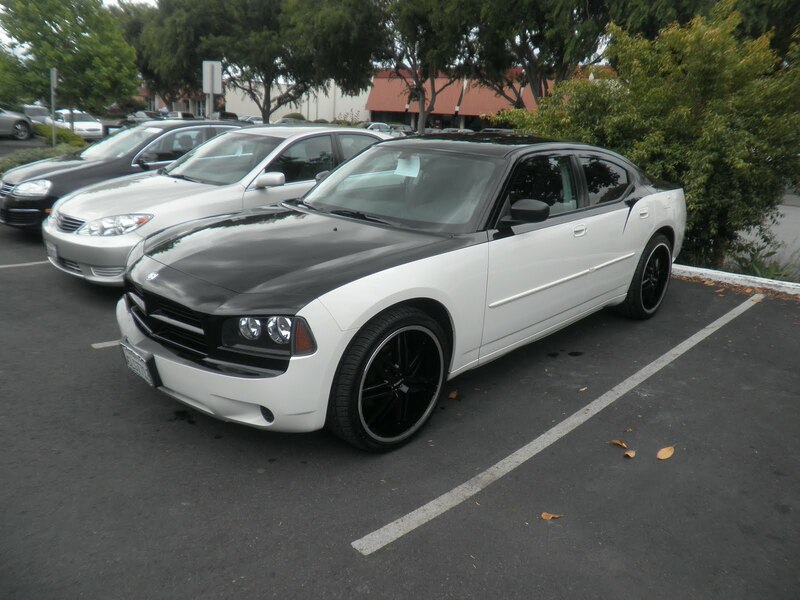 Today's car of the day is a 2008 Dodge Charger that came in for auto paint. 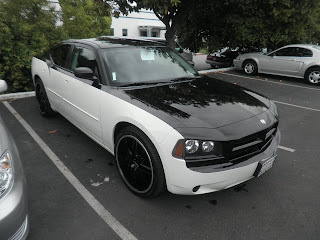 This customer requested that the entire top of his car (from the body-line up) be painted gloss black for a 2-tone look. 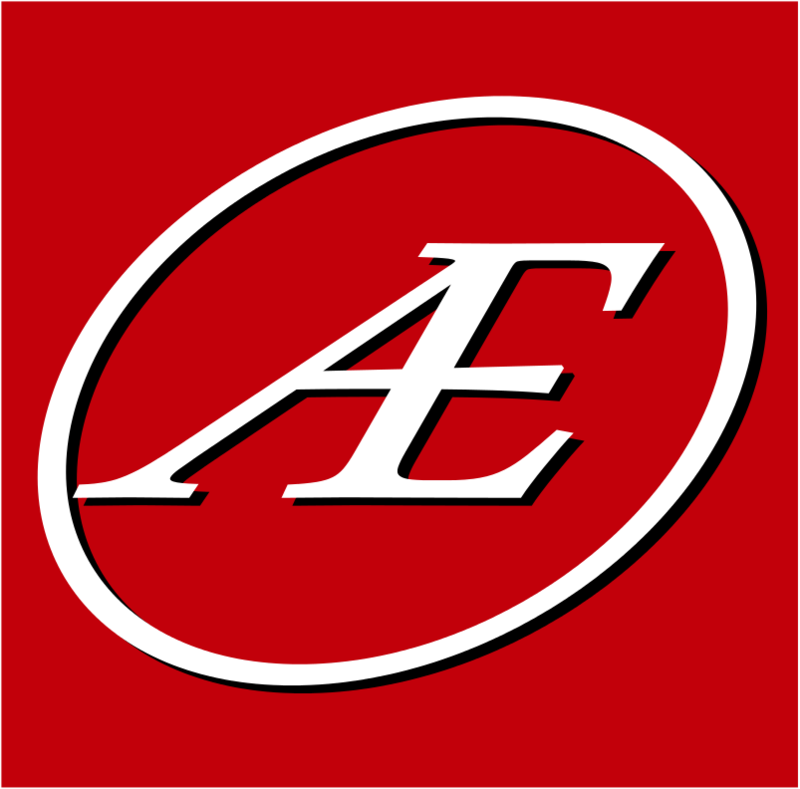 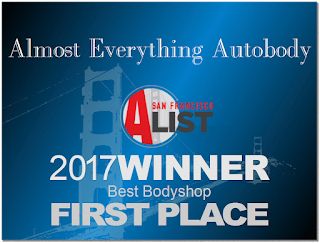 Almost Everything Autobody prepped the areas to be painted, masked all other parts that where to remain the same color and apply a full coat of primer sealer and painted with the factory platinum that is waterborne paint and comes with lifetime warranty.